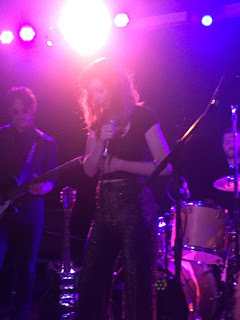 Her set started with Lera requesting a glass of whiskey from the bar and ended an hour and half later when the sumptuous song of the same name was sandwiched into a trio of encore numbers. 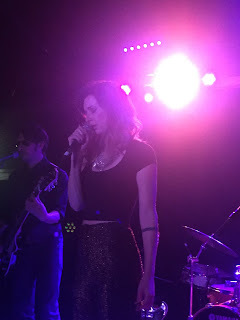 However the only intoxicating experience in Nottingham’s Bodega Bar was an audience absolutely besotted by her sultry enigmatic style of dark and moody Americana. 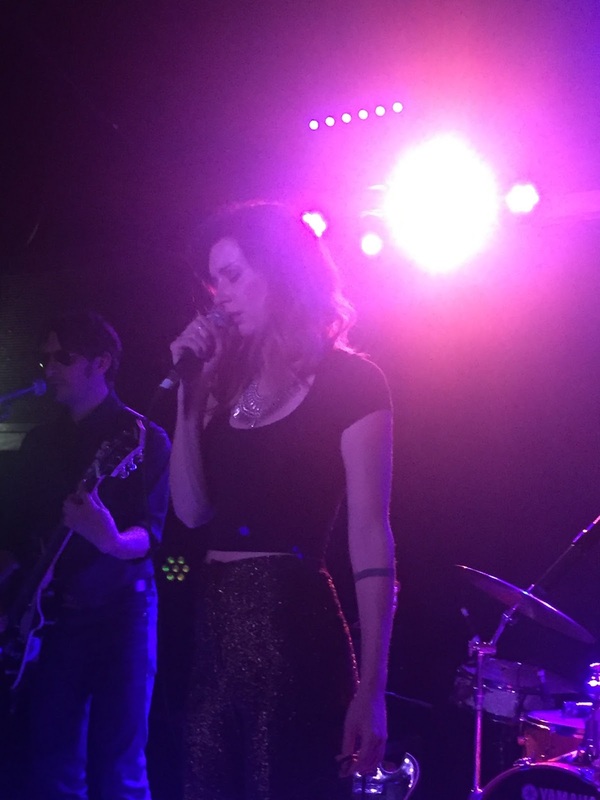 Countless highs have emerged during Lera Lynn’s rise up the ranks and on the evidence of this evening’s performance her new album is set to maintain the momentum. This latest UK trip has had the benefit of national TV exposure via a performance on Jools Holland’s BBC Later show and shortly Lera will embark on some big venue support slots with Ben Folds. Yet this gig was best insight that you can get of Lera and her super band. A highly respectable Sunday night gathering packed this city centre venue and didn’t have to wait long to open their senses to the main event after London-based singer-guitarist George Cosby had opened the show with a short set of atmospheric songs. Maybe a slight adjustment was needed to the volume of sound spilling out of the stage speakers, but right from the start Lera’s band hit the optimum button. 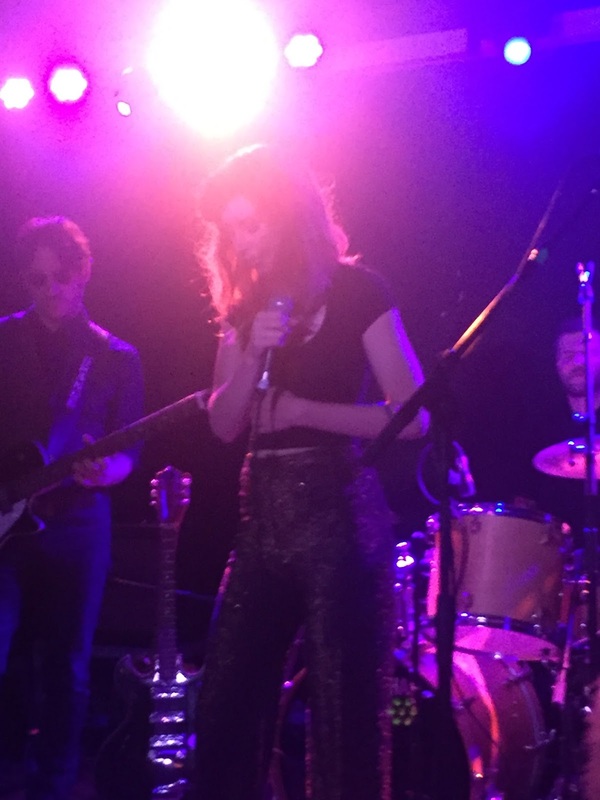 Led by Joshua Grange on baritone guitar and ably assisted by bassist Robby Handley and drummer Tom Perkinson, the guys proved the ideal foil for Lera’s sophisticated songs which possessed a powerful edge. The subsequent ninety minutes rolled out to be a sublime showcase of her new album RESISTOR beautifully punctuated by several older tracks including the inevitable ones from her True Detective involvement. There is a Southern gothic tinge to the music of Lera Lynn and the shadier side to her onstage persona closely resembles the intense Northern indie of Sharon Van Etten. Lera also oozes with artistic class and you feel she can adapt to any genre on the left field spectrum as witnessed by an inbuilt alt-country sound. While some of her older material leans this way, RESISTOR has a subtle rock stamp all over it and reveals hidden nuances with each listen, especially prevalent in this live setting. The three key tracks from the album to move me this evening were the punchy ‘Shape Shifter’, the awesome ‘For the Last Time’ and the engaging ‘Little Ruby’. 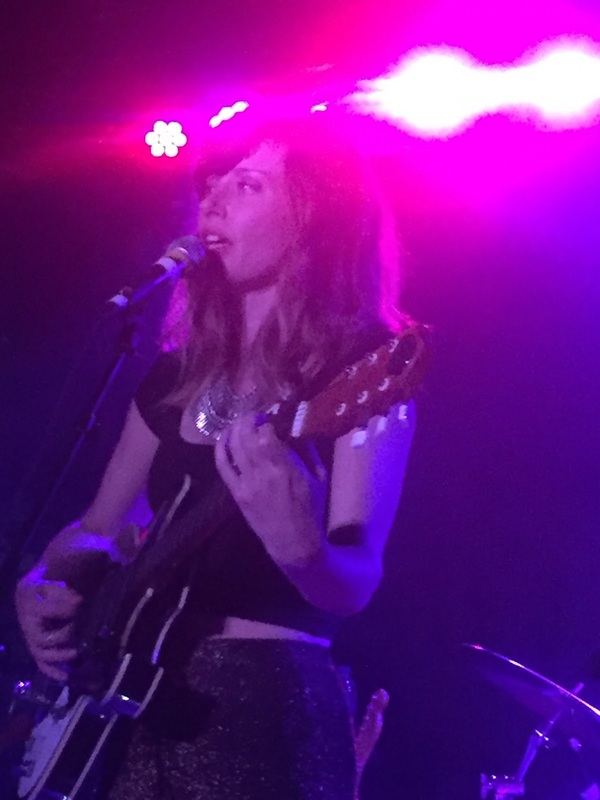 Just to demonstrate that Lera is a great interpreter of songs as well as an impressive originator of them, she guided the band through a very individualistic version of Springsteen’s ‘Fire’ and the immortalised ‘Ring of Fire’. The latter had a previous life as one of Lera’s singles and was the cream of the encore which skilfully brought the sound down from the main set mayhem mixture of cultured and frenzied electric guitar. Chat from the stage was rare as Lera adjusted to the impeccable and restrained politeness of your usual UK audience for this brand of sophisticated music. You get the vibes of intense listening and eventually the artist comes round to respect this. Either way it was appropriate and fruitful for the music to do the talking, but Lera did mention the US TV show which helped raise her profile and played ‘My Least Favourite Life’ and ‘A Church in Ruins’ from this angle of her recording career. Lera Lynn has been in the spotlight now for around half a decade since the release of her debut album and is an artist ready to spiral into the listening domain of a wider audience. However you get the impression that this will be done on her terms and creative whim. To those hooked in, her music will continue to mesmerise and future independent free thinkers are out there to succumb to the sound. This show needed little alcohol to create a heady presence and eased up the rankings of a packed gig year.